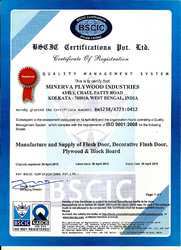 Minerva Plywood Industries is one of the prominent manufactures, suppliers and wholesalers of Flush Doors, Decorative Door, Crown Door and many more. The company was established in 1955 as a partnership firm registered under Indian Partnership Act 1932 at West Bengal, India. Our products range includes Royal Mat Commercial Flush Door, Pine Commercial Flush Door, Decorative Designer Doors, Teak Flush Floors, Commercial Flush Doors, PVC Doors, Panel Box Doors and many more such items. Our company has been working more than successfully since so many years under the wisdom and skillful guidance of Mr. Snehansu Ghosh (Partner). Our company has been able to satisfy our valued customers since so many years by providing them high quality range of products as per their demands. Our company has successfully appeared as a pioneer in the field of wooden flush doors manufacturing and supplying. This has become possible due to great efforts of Mr. Snehansu Ghosh who tirelessly works for consistent growth of the company. We are held high in regards for superior product quality and transparency in production due to his rich experience and sound knowledge of business. 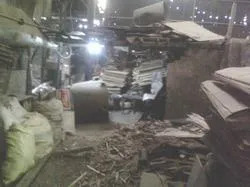 It is all due to endeavours of Mr. Snehansu Ghosh that our company is supplying our range in many states like West Bengal, Jharkhand, Orissa and Bihar, through our laborious team of suppliers. We have earned a respected and reliable position in the domestic market by focusing on the fabrication of quality range of our various products. 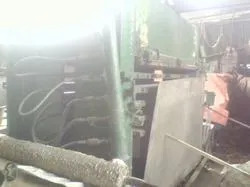 In order to perform the activity of manufacturing, assembling, quality control and finishing the products, we have provided our skilled workmen with very sophisticated machinery and equipments and high precision tools. 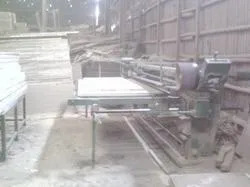 Our company has well equipped infrastructure facilitated with ultra modern technology and latest machinery. We have a team of highly devoted and committed members, who are always dedicated to complete the allotted work on time without any delay. Our team of highly skilled and diligent professionals helps us to meet the specific requirements of the clients. We have developed cordial relations among our team members for smooth and efficient functioning of all the processes involved in manufacturing and supplying of products. Along with this we have made provisions for easy and hassle free modes of payment for the convenience of our clients. All these facilities provided by our company have made our company the first choice of clients since so many years. The main motto of our organization is to lay emphasis on the production of quality products. As a result, we have earned tremendous name and reputation among our satisfied customers. Since quality assurance is the basic and foremost concern of our company so we leave no stone unturned to achieve this target. No compromise on the ground of quality is tolerated in our company. We make sure to provide each and every product of best quality. We have a state-of-the-art manufacturing facility, which is equipped with the latest machines & technologies to fabricate the qualitative range available with us. Our team of wood carvers and technicians works in tandem to manufacture a sturdy range of doors. This unit has all the resources to carve a range that complies with all requisite industry standards and with the strictest national & international norms. 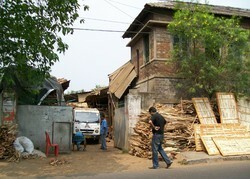 The wood cutting, wood carving and finishing machines used by us are procured from reputed vendors to ensure uniformity of quality throughout the range. Our company has been able to increase the sales revenue by commendable proportions over the years because of dedication of our team members to offer best quality products to our customers. Client satisfaction is the main motto of our company. We are appreciated for the high standard after sales services that we offer to valued clients within specified time period without any delay and problem. Our organization is one of the leading manufacturers and suppliers of Wooden Flush Doors. Our range is available in variety of designs and thicknesses which portrays the stylish looks and also embellishes the interiors and exteriors of the place. The collection of our products is designed using high quality hardwood and chemically treated wood which has faultless finish and gloss. Also, these are moisture & termite proof and are can be customized as per the client’s requirements. Our company is endowed with a dexterous team of persons who are expert in their relevant fields. Our team comprises of skilled technicians, wood carvers, designers, quality controllers, packaging experts, warehousing professionals and many other such experts. Our team relentlessly works for consistent growth of the company. All our professionals believe in working in co-ordination in order to give the best output. Owing to the help of sound infrastructure and skilled professionals, we are able to garner a wide numbers of client's demands and requirements. We are growing well and steadily by offering the quality products with the help of a motivated workforce, a dedicated team and management. Thus, this also helps us to satisfy our customers effectively.